Associate Professor of Psychology Stephanie Travers, Courier Erik Berg (‘77), and Counselor Stu Johnston were part of a panel that shared stories of past failures. 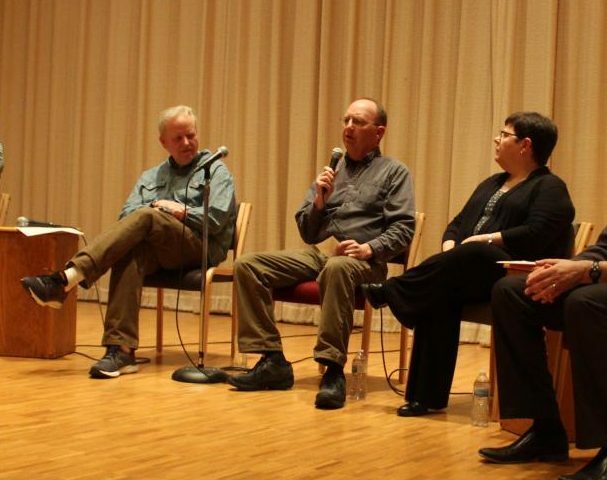 In continuation of their “Here’s My Story” series, Counseling Services and the Center for Ethics and Public Engagement sponsored a panel discussion called “Here’s My Story: I Failed” on March 13. Students, faculty, and community members who attended heard Courier Erik Berg (‘77), Counselor in Counseling services Stu Johnston, Associate Professor of Psychology Stephanie Travers, and Instructor in Music Mark Potvin (‘01) shared their stories of failure. Along with the panel discussions, Counseling Services put together a traveling “failure board” to promote the event. They wanted to give people the opportunity to share their failures to mitigate the surrounding stigma. 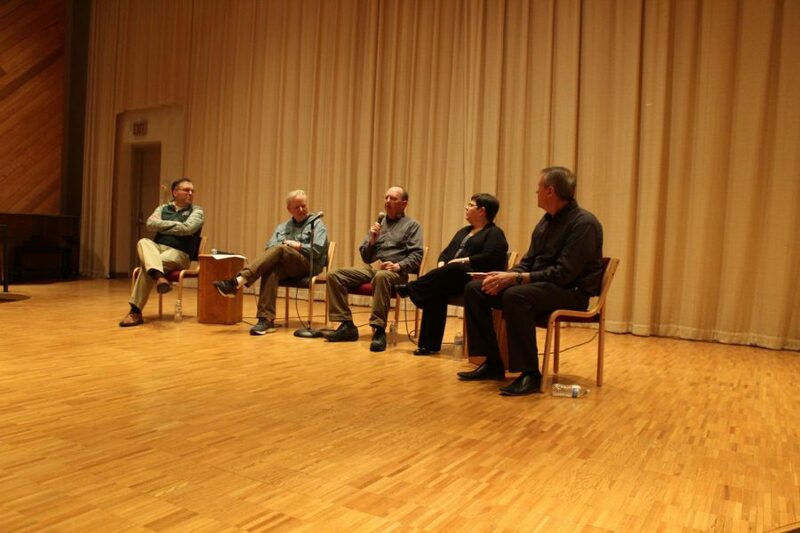 According to Counselor in Counseling Services Bobbi-Jo Molokken, this panel was a way for the Luther community to hear stories from people they interact with on a daily basis. Travers, Johnston, and Berg told stories of their struggles in college. Travers shared that she dropped out of college her junior year, before they could ask her to leave. For Johnston, he thought his failure started in high school, when he did not have to put in much effort to pass his classes. He carried these techniques with him to college until he found someone who pushed him to change his study habits. Berg said that his story started in the fall of 1973 as a first-year at Luther. He described his dorm as a party atmosphere, and an environment which would influence his drinking habits for the rest of his life. Potvin shared stories of how he felt he had failed other people, including pushing his high school choir students through a performance to a point where no one felt proud of their performance. The wide range of failures shared allowed students to relate to these Luther community members. Susie Wold (‘20) was not expecting the panelists to share such intimate failures from their lives. Wold talked about how the stories helped her change her own mindset about failure. This change in mindset was the goal of the panelists, according to Travers. She hoped the stories would help students who may be going through things that she and the other panelists had experienced. The sharing between the audience and the panelists was appreciated by Associate Professor of Psychology Joe Breitenstein, who moderated the event. He saw how the stories helped strengthen a community by sharing the moments that most people are not proud of. “It felt like there was this Luther moment where this incredible sharing and learning [took place],” Breitenstein said. Johnston appreciated the potential influence telling stories could have on the greater Luther community. Through his failure, he wanted to help people avoid the situation that he had gotten himself stuck in. Potvin also recognized the impact stories could have on the audience. He shared what he had learned through his failures. “I made a mistake, but I’m not a mistake,” Potvin said.